Strength at the core of your operation. 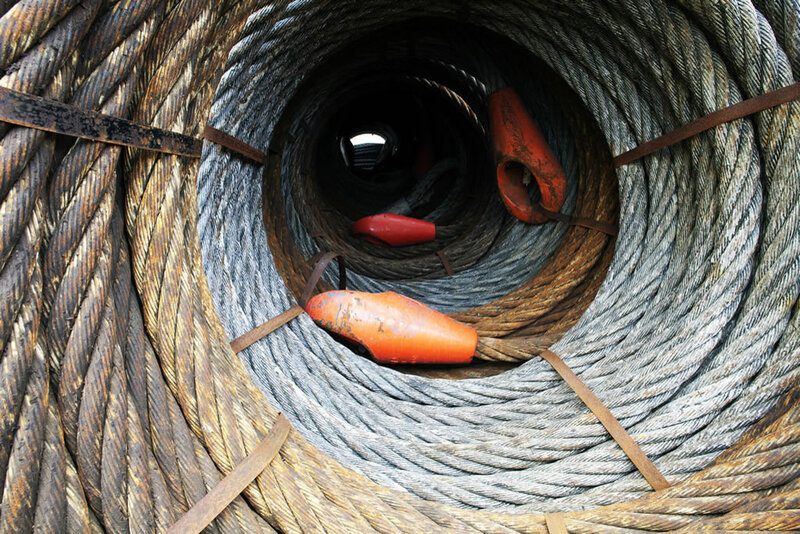 Wire ropes can be grouped into two broad categories by the type of central core used. Independent wire rope core (IWRC) ropes are the stronger of the two and offer the greater resistance to crushing and high temperatures. Fibre core (FC) wire ropes while weaker, offer advantages in terms of flexibility, weight and of course price. Along with the diameter, two numbers are normally used to define the construction of a wire rope. The first refers to the number of strands in the rope and the second to the number of wires per strand. In general, the greater the number of wires, the greater the flexibility of the rope. As the number of strands increase, so the section of the rope tends towards an even circle which is essential for the wear characteristics of ropes which pass over sheaves. While it is impossible to include a comprehensive list of all wire ropes in a publication of this size, this section should be a useful reference guide for those constructions in common use. For more information on Viking SeaTech's wire rope services, contact us.